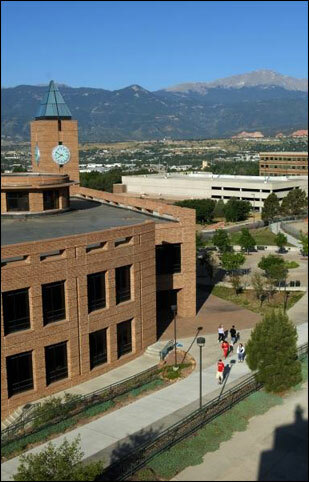 The University of Colorado at Colorado Springs. Five faculty members from the Tecnológico de Monterrey in Mexico will visit the University of Colorado at Colorado Springs from July 19 to Aug. 1 to study English as a second language for teachers. Their visit is part of a UCCS program to help people who speak other languages. The program is in the College of Education's department of curriculum and instruction. The college offers a 12-credit English as a second language, or ESL, certificate. The Tec de Monterrey is one of the most prestigious and innovative providers of private education in Latin America, boasting a presence in 31 Mexican states and 13 offices worldwide. The university serves more than 92,000 students and 8,000 faculty members. The UCCS College of Education is accredited by the National Council of Accreditation of Teacher Education, and received the highest accreditation possible last year. Each semester, the college enrolls more than 400 undergraduate and graduate students in areas of study such as special education, counseling, curriculum and instruction, and leadership. The college also provides professional development for hundreds of practicing educators throughout the region.